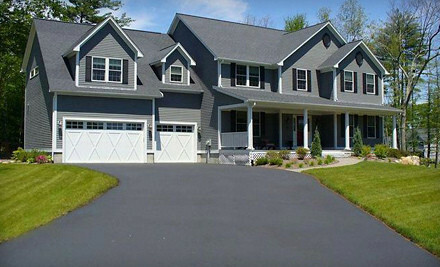 For over 25 years Everlast Blacktop has been providing quality asphalt services in the greater Lake Zurich area. Asphalt driveway installation and driveway sealcoating have become much desired among residential and business customers alike due to the easy maintenance and long lasting durability of asphalt. When it comes to adding value and beauty to your residence, look no further than the knowledgeable and experienced driveway paving crews and estimators of Everlast Blacktop. We guarantee quality workmanship and timely completion of all projects. Located in Lake County, Illinois the small northwest suburb of Chicago known as Lake Zurich was recently named the number one village for young families. Lake Zurich’s mission is to continually improve the quality of life and return on investment for all its nearly 20,000 residents and businesses within the community. The residents of Lake Zurich know that spending a little money on driveway paving and maintenance can go a long way. That’s why they rely on the competent professionals and affordable prices of Everlast Blacktop for all their blacktop driveway and driveway sealcoating needs. At Everlast Blacktop we understand that an asphalt driveway is a significant investment, that’s why our driveway sealcoating and pavement sealers are fortified with coal tar for added staining resistance and extended durability. As a driveway paver Everlast Blacktop is knowledgeable in all aspects of asphalt driveway paving and blacktop driveway installation. We will provide you with information and updates at each step of the driveway paving process to ensure the attention to detail and complete satisfaction you have come to expect from Everlast Blacktop. Call us today to get started at (630) 855-5572.